With nearly forty five (45) years of establishment, MRCB has evolved to become an independent and reputable organization in the country. Our mixed working culture ingrained through the Corporate Values of Integrity, Passion, Teamwork and Innovation always push us towards achieving new milestones in the business we undertake. With promising growth happening across the Company, we are seeking highly potential candidates that fit our requirements and are ambitious towards developing a successful career with us. 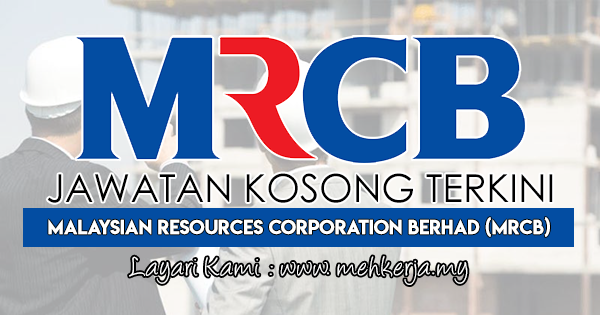 0 Response to "Jawatan Kosong Terkini di Malaysian Resources Corporation Berhad (MRCB) - 13 September 2018"